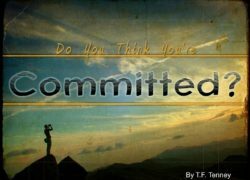 Should this question be posed to most of us, the answer would probably be, “Yes, I’m committed!” Without hesitancy we would answer in the positive. Commitment is one of our core values. Let’s talk about it. Admittedly, there are levels of commitment. A kamikaze pilot who completed fifty missions might be involved but he is not committed. The first one was sup­posed to be it. Jesus spoke of 30- 60- 100-fold. Evidently, there’s a foundational base, and then upward or down­ward from there are commitment levels. Nothing demonstrates your true commitment any more than your visible actions. It’s not just talking this talk, but it is walking this walk. In today’s world, what is the leading indicator for commitment? The corporate world says their chief indicator is how they spend their time in this generation. Time seems to be more important to people these days than money. If you think not, try to get some volunteers for a church assignment. They may say, “Pastor, I don’t have time but I’d willing to pay someone else to come work.” In the ministry, are we in control of our time? Is it valuable to us? It’s the chief indicator of where our truest values lie. This principle is apostolic. The dilemma in the early church concerned thee Grecian widows. What were the apostles going to do? Most assuredly, they delegated the provision. 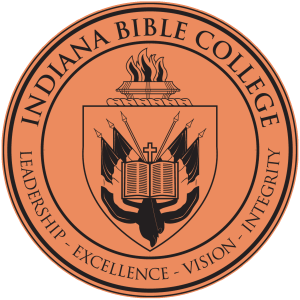 As far as they were concerned, the first administrative decision of the New Testament apostolic council was, “We’re going to give ourselves to prayer and the Word of God.” They were in control of their time for primary issues. The principle is still valid today. 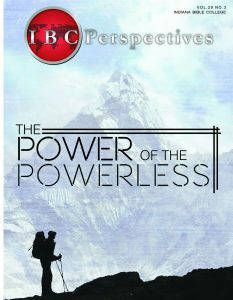 If the enemy cannot overtly defeat us, then he settles for second best—stealing our time—allow­ing the urgent things to crowd out the important things, draining our creative energies in pursuit of the mundane or secondary. Preachers don’t punch a clock. But there’s a God in heaven who take notice. Job said, “My witness is in heaven, and my record is on high.” God is the timekeeper. Have you ever audited how you spend your time? 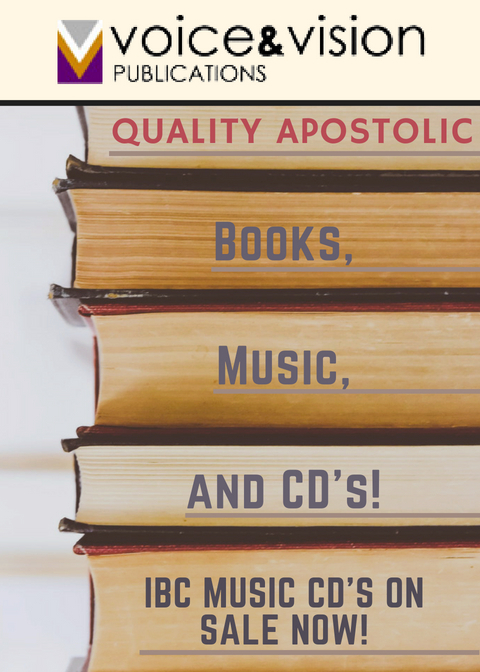 Do you portion your time out to the most valuable things in your ministry? Ask yourself, “What are the most valuable things in my walk with God?” Then, evaluate their impor­tance by the amount of time you spend doing these things. The author of a business principle book made this observation, “Leadership is a service. Leaders serve a purpose for the people who have made it possible for them to lead—their constituents. They are servant leaders not self-serving but others-serving. The relationship of leader and constituent has been turned upside down—or rather, it has been righted.” Now, remember—that wasn’t from a Christian frame of reference. If a leader in busi­ness is going to make it today, he’s going to have to have a servant heart and build relationship with his con­stituents—that is, his employees and customers. This takes priority time. Simply put, if you want others to bleed, you’ve got to hemorrhage. If we want our members to be accountable for their time and kingdom issues, what about us? They work 8-10-12 hours a day and then are still expected carry out their spiritual commitments. After all, they are laity—they are not in the full-time vocational ministry. I certainly wouldn’t want my Sunday school superin­tendent on the fishing bank during some of the highest days of church attendance such as Easter or the Christmas season. Most assuredly, we would call them to accountability and talk to them about not being faithful. How do you think these same people feel when they hear their pastor spends every day on the golf course during camp meeting or conferences—a time when God’s people gather in union to try to discern the mind of the Lord as a corporate body? He is delivering the wrong message both to people and to God. I will never forget the uproar after a church had raised money to send its pastor to a general conference only to later find that he spent most of his time across the border in Mexico vacationing and chasing bargains. I believe they finally discerned he may have attended one or two services. Oh the fallout of that Hiroshima! Let me say it again, if you are going to talk this talk, you gotta walk this walk. And if, on their level, you are going to demand of your parishioners prime-time for prime proj­ects, then you have to lead the way. 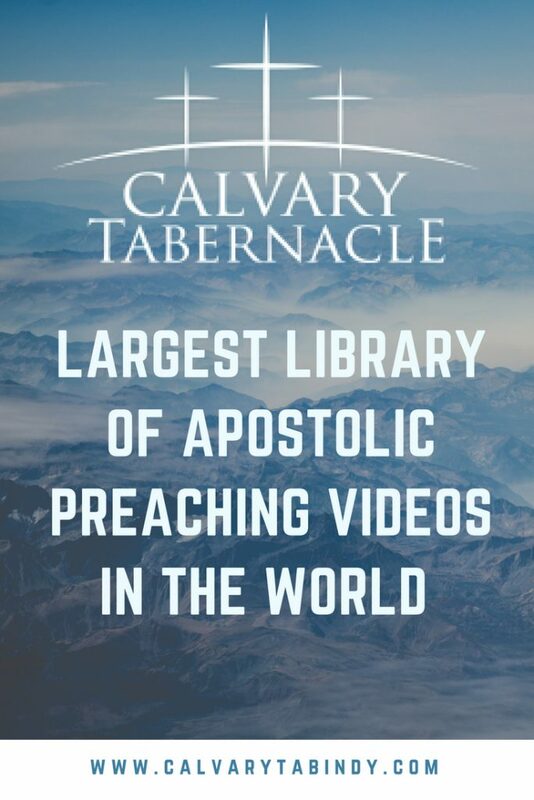 The media has shown us the end of so many “incredible ministries”—especially The TV syndrome. It is now time for the credible ministry. Above what people think, what did the Word mean when it said, “redeeming the time”? Doesn’t that mean the use of time in juxtaposition to opportunity? If you have an opportunity to enhance your walk with God, to discern what the Spirit is saying to the church and you choose to sit your sanctified self on a creek bank—I wonder what the Almighty thinks. There’s nothing wrong with time off—but make sure that it’s not time off for the pleasure at the cost of the spiritual. After all, He did say,” In the last days . . . men shall be . . . lovers of pleasures more than lovers of God.” Those words were spoken to the church. I don’t want to be like the man in the Bible of whom it was said, “While your servant was busy here and there, behold he was gone.” The opportunity of a lifetime was lost because he was too busy—time consumed in things that were less than important. I hear our excuses now—”That session was dull Would you have been there if you had been invited to speak? What would you have wanted others to do? Somewhere I read about a rule that was called golden, not yellow. Well, there you have it. One of the greatest judges of what a man loves is what he does with his time. Laugh it off and joke it away if you want to but then look at the bottom line. 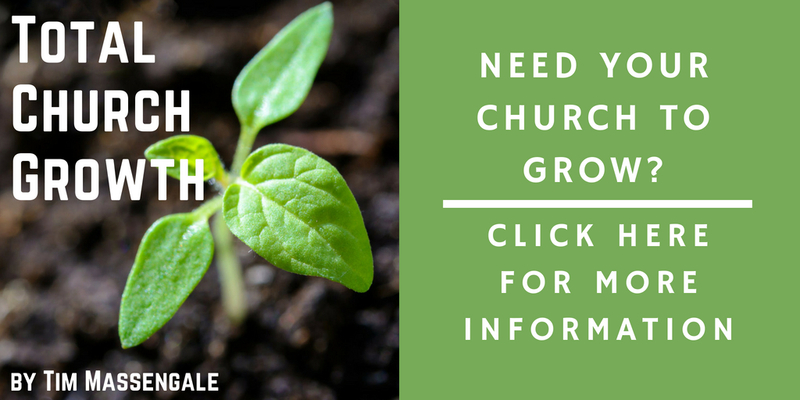 Is my church really growing? Maybe, just maybe, the secondaries are consuming primary time. 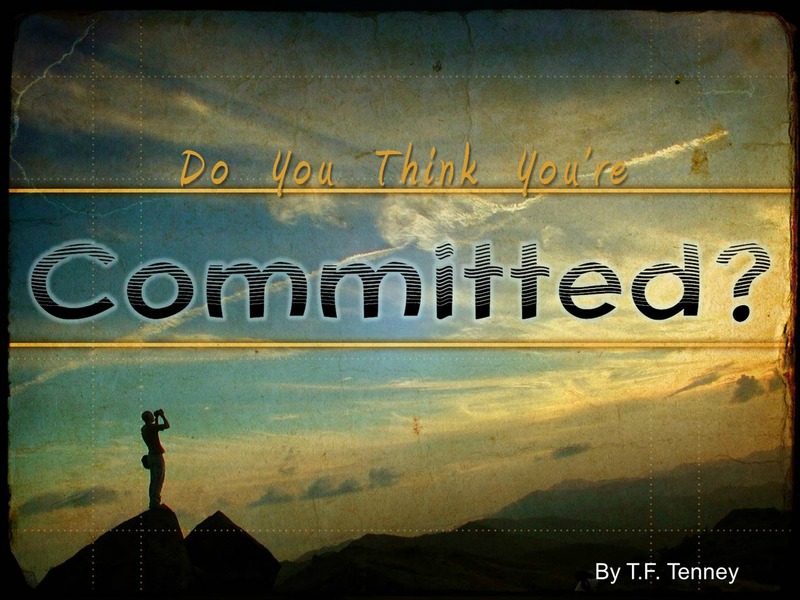 The above article, “Do You Think You’re Committed?” is written by T.F. Tenney. 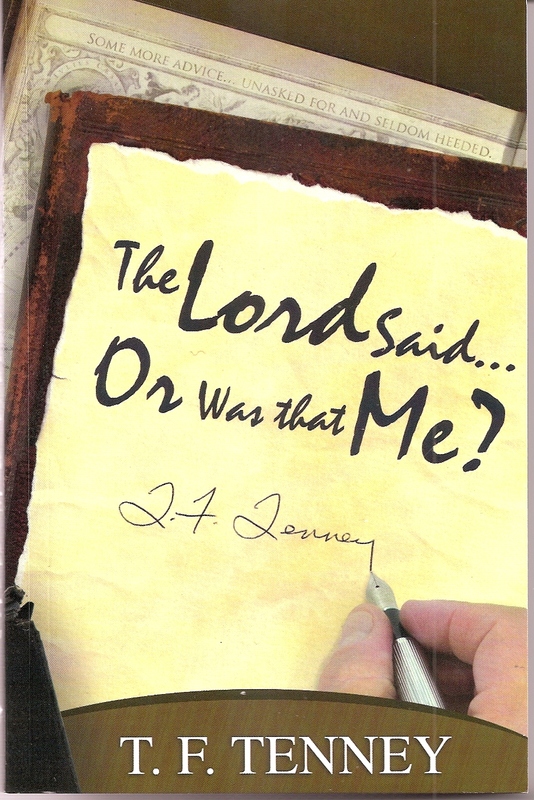 The article was excerpted from the sixth chapter of Tenney’s book The Lord said…or Was That Me?